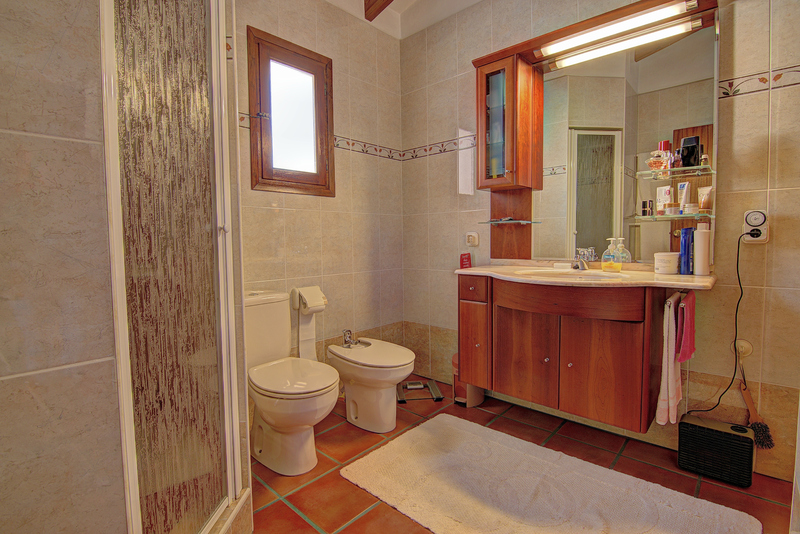 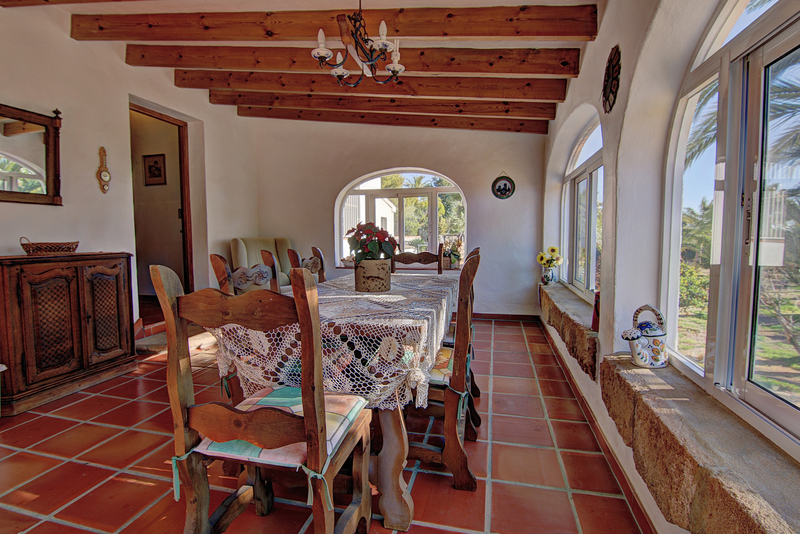 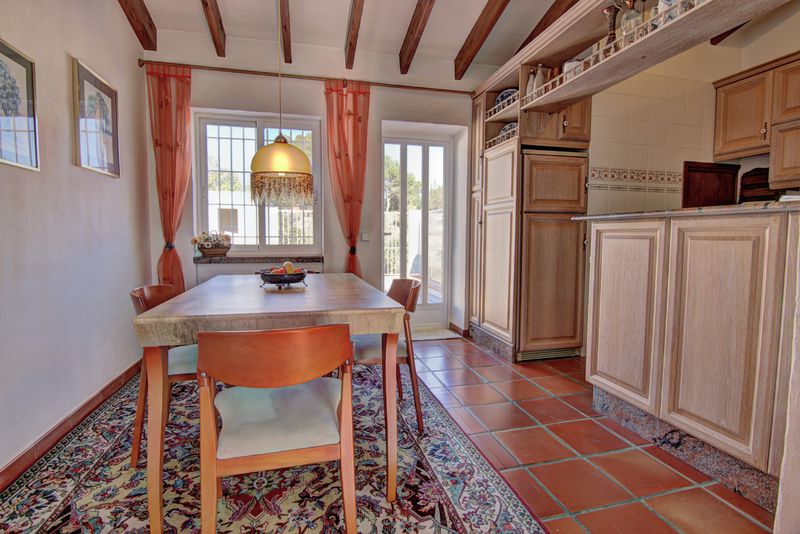 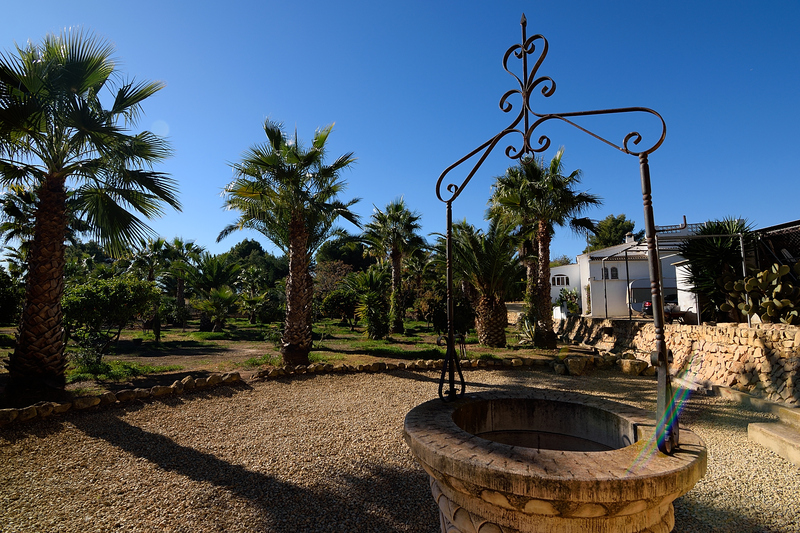 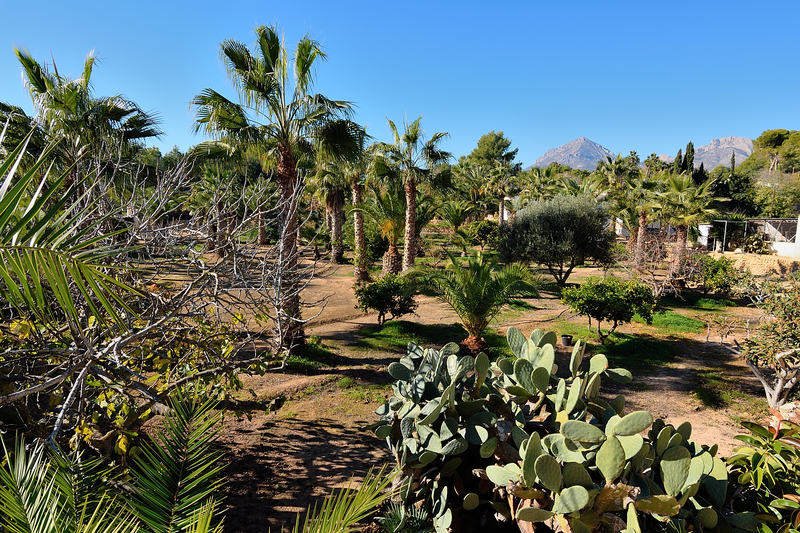 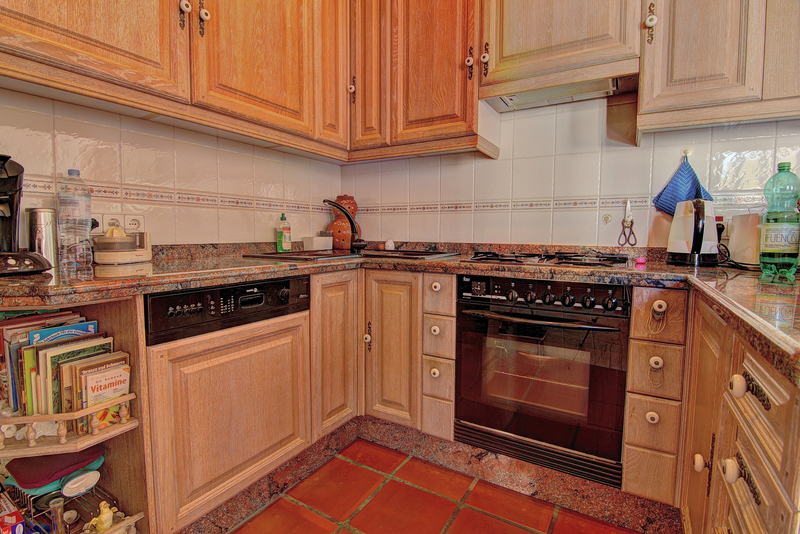 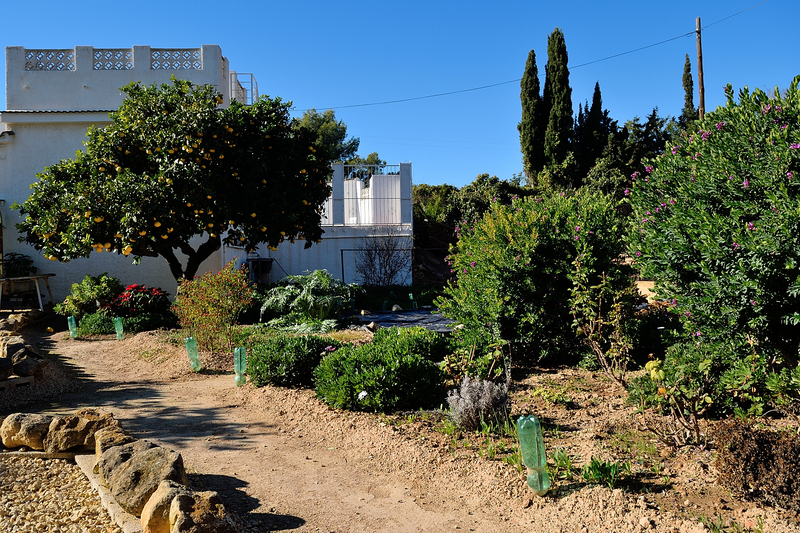 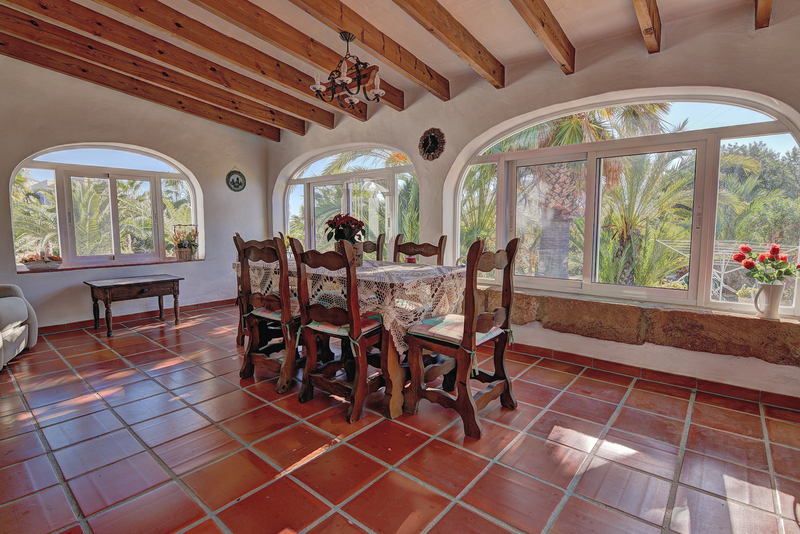 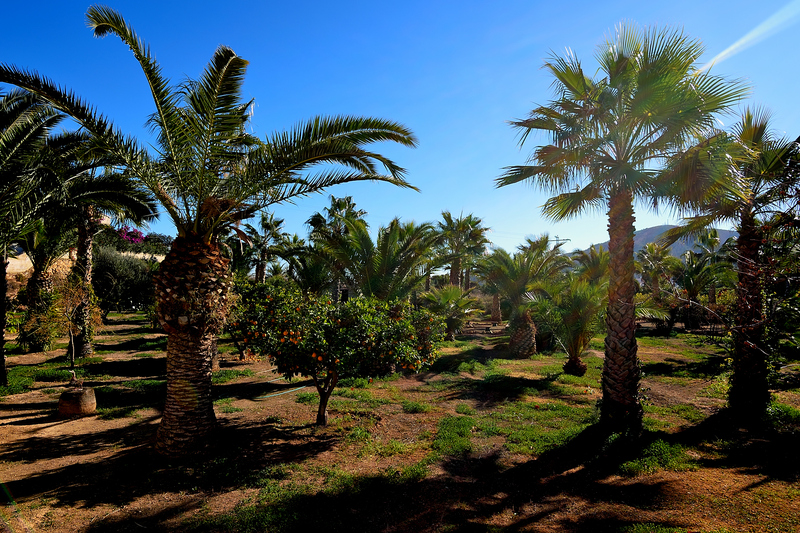 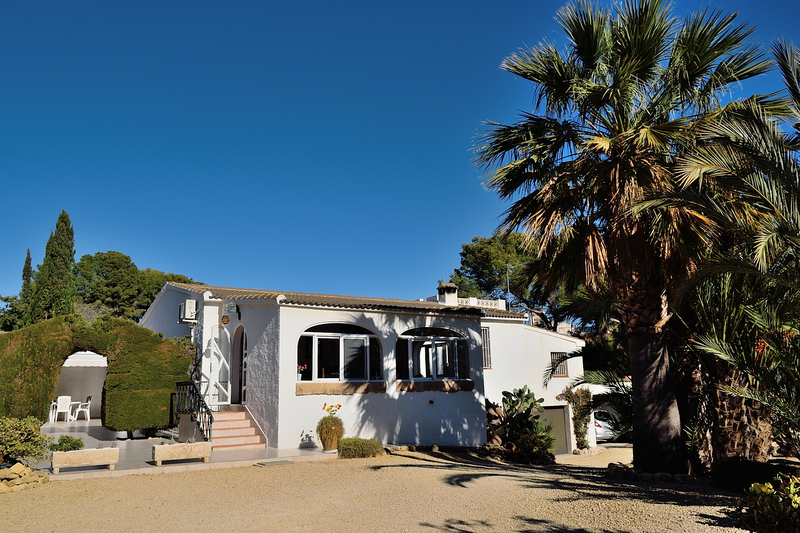 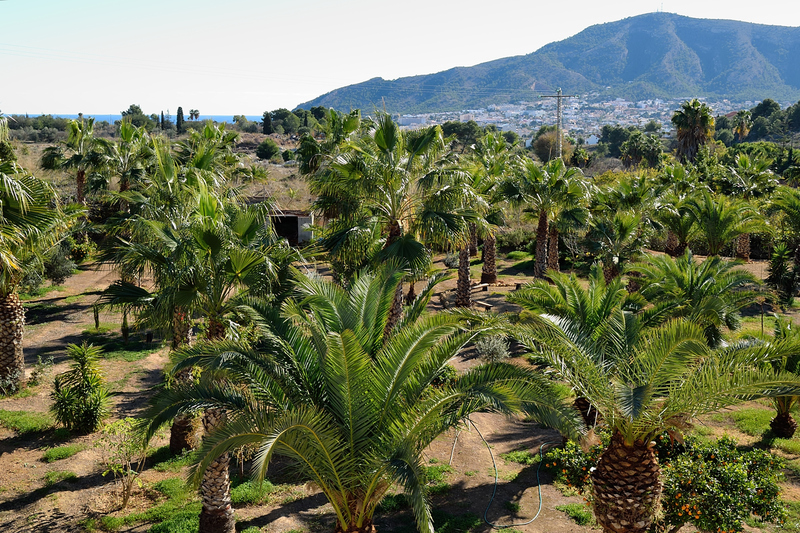 Rustic country house in Alfaz del Pi on a large plot with amazing palm-tree garden. 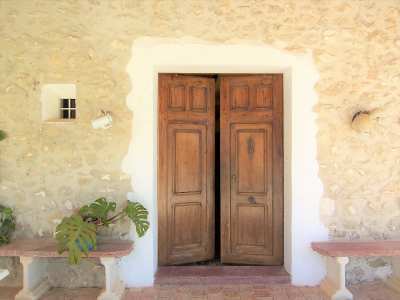 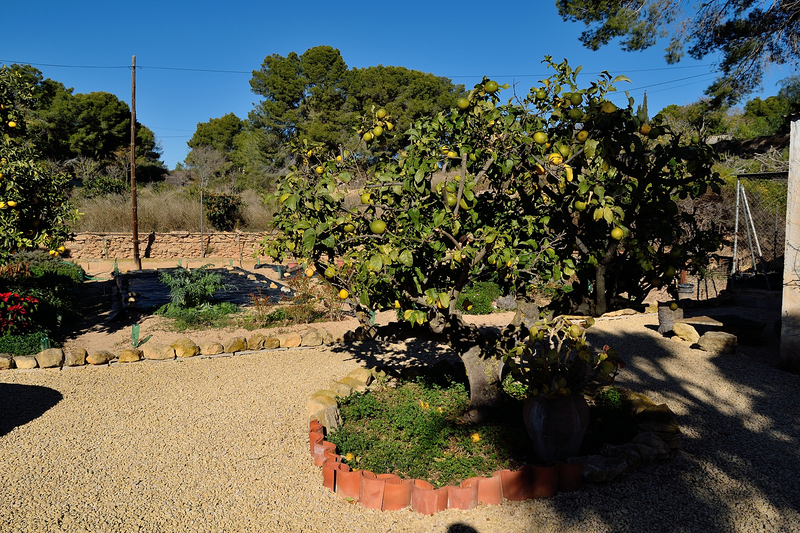 This rustic finca has a large plot of 4500 square meters, positioned on just two kilometres from the beach of Albir and just 700 meters to shops and supermarket. 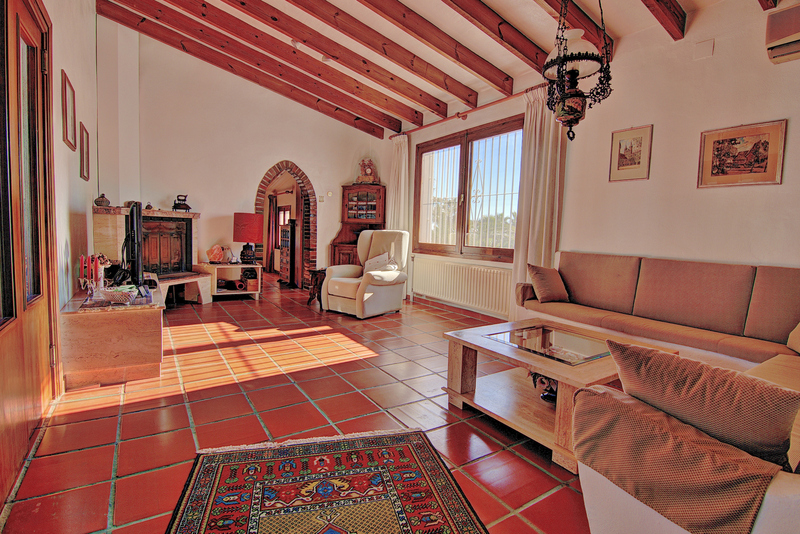 The main house has a large winter terrace, a cosy living room with chimney, two bedrooms, two bathrooms, a large study that can be turned into a bedroom, a kitchen with separate dining-area, all on one level. 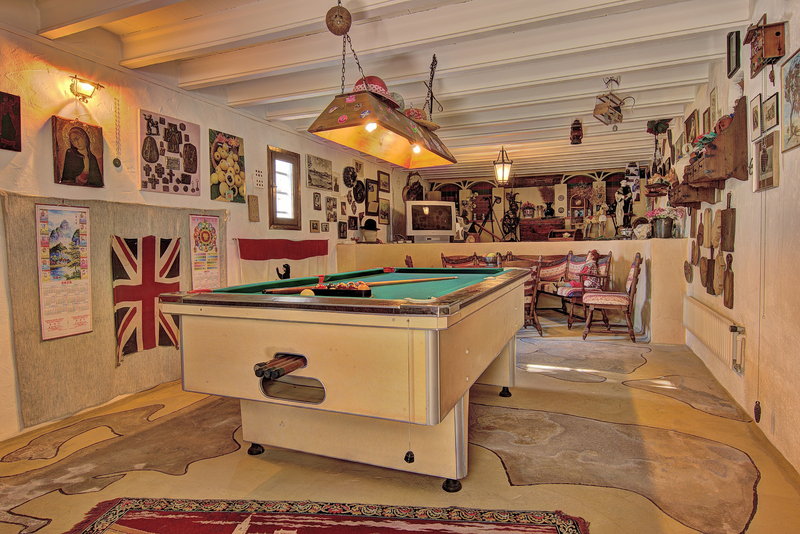 Underneath the property there is a large 37 square meter room that is being used as a billiard room, and two large garages. 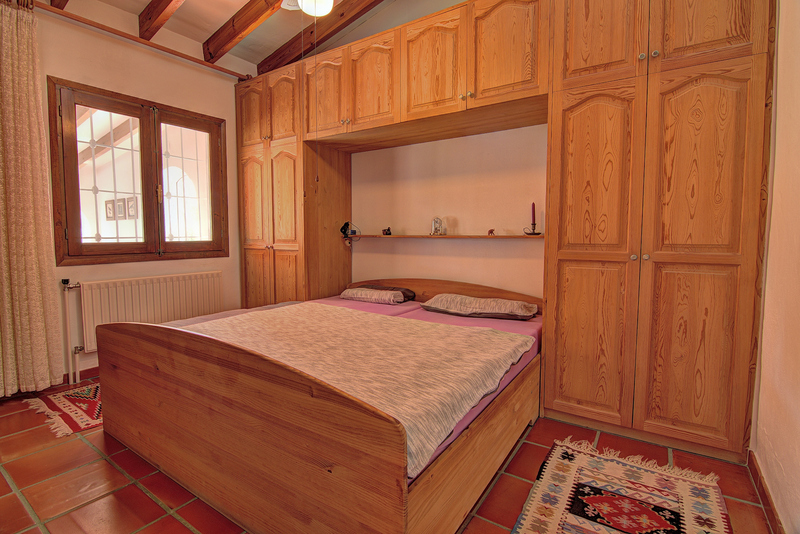 There are also stables of 60 square meters that could be made into a guesthouse if needed. 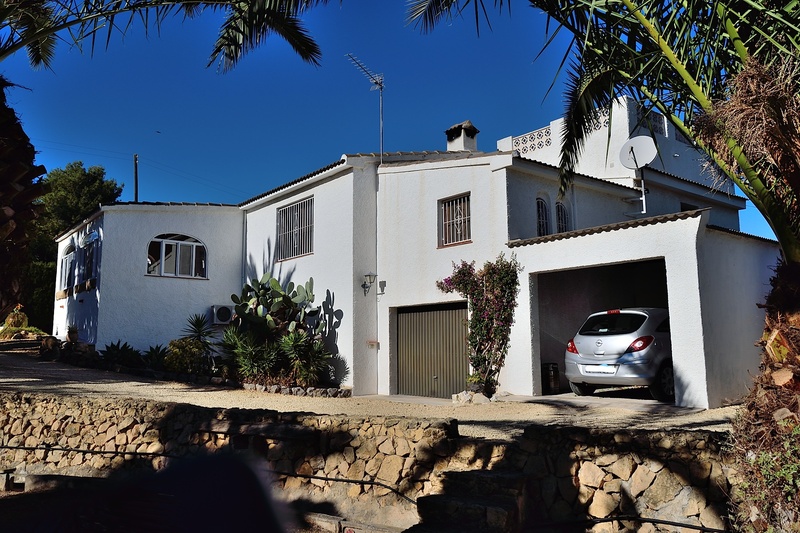 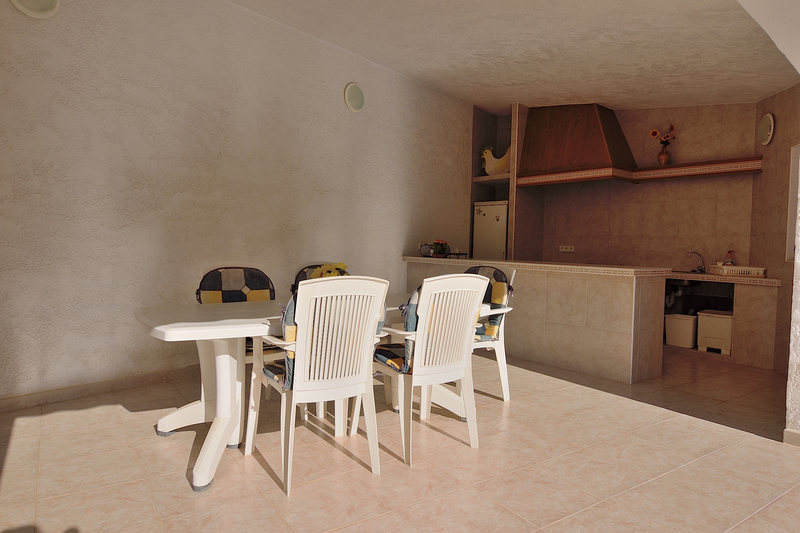 There is also a 20 square meter roof terrace with views to the sea and a basement of 18 m2. 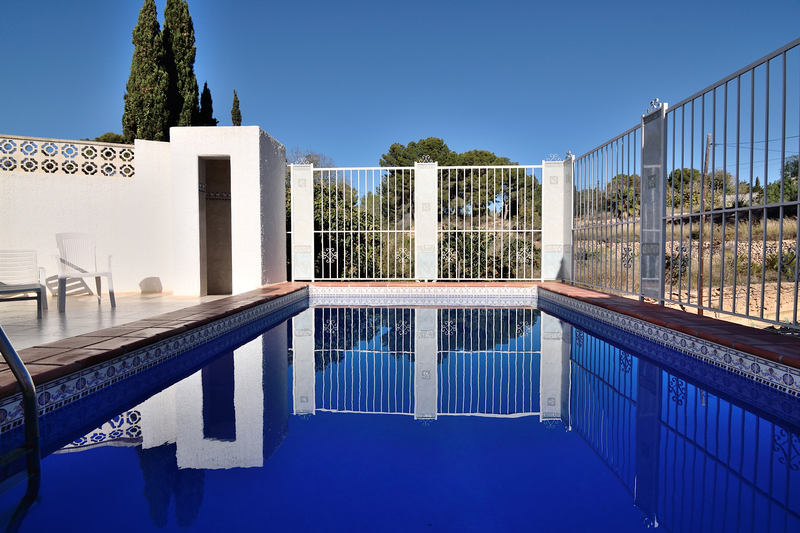 At the back of the house there is a swimming pool with terrace and outside kitchen. 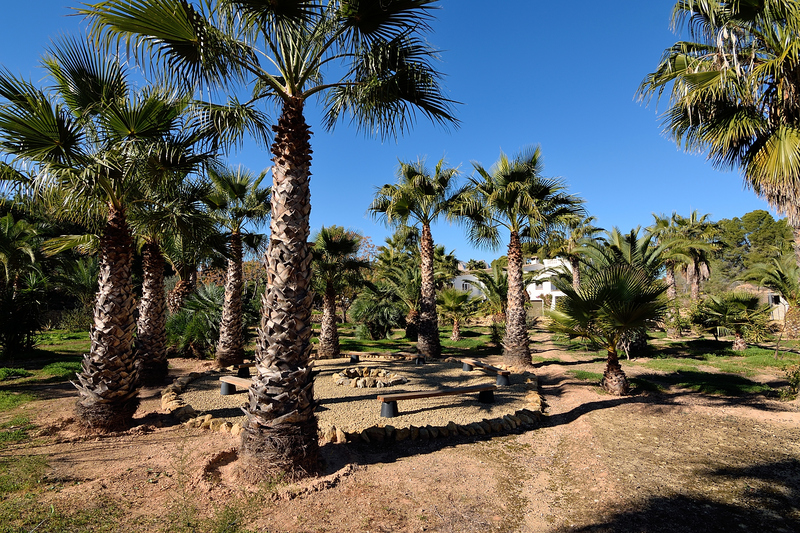 At the front of the house there is the amazing garden with palm trees. 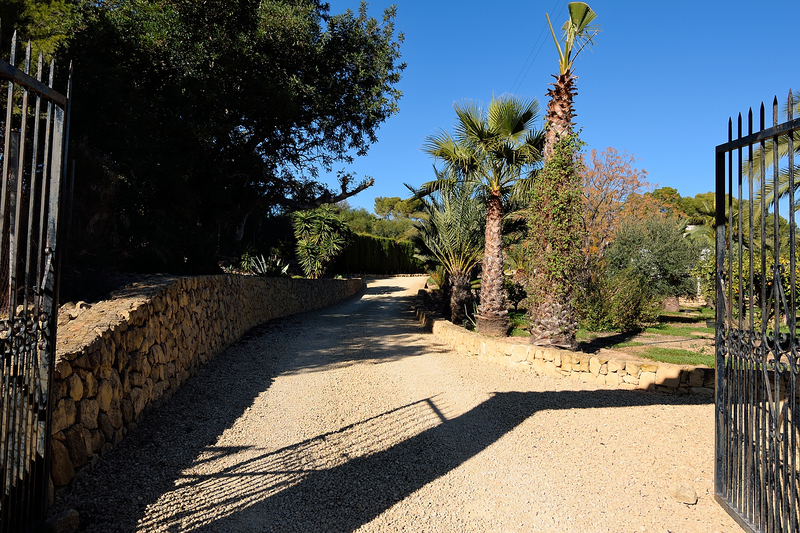 The whole property is very private. 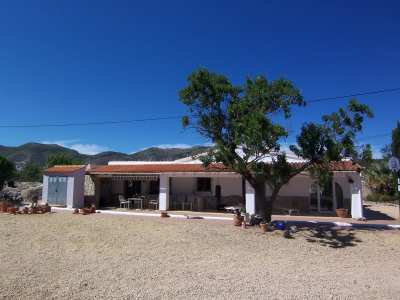 A very nice property for the buyer that wants a rustic property in a quiet area, but very close to amenities.